By the late Sixties, Johnny Cash was ignored by country radio and struggling for a comeback. 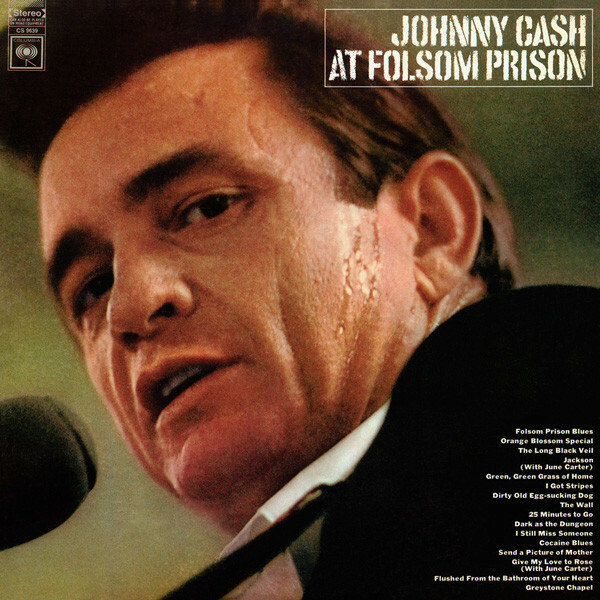 At Folsom Prison was the gold-selling shot in the arm that revived his career. A year later, he was writing liner notes for Bob Dylan's countrified Nashville Skyline and logging four weeks at Number One with his second prison album, At San Quentin. But At Folsom Prison is essential Cash. Backed by his tough touring band, including fellow Sun Records alum Carl Perkins on guitar, Cash guffaws his way through "Cocaine Blues," "25 Minutes to Go" (a countdown to an execution) and "Folsom Prison Blues," with its line about shooting a man just to watch him die. The 2,000 inmates in attendance roar their approval.